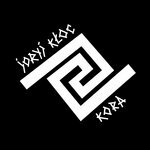 Get all 6 Joryj Kłoc releases available on Bandcamp and save 25%. 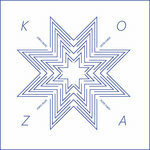 Includes unlimited streaming via the free Bandcamp app, plus high-quality downloads of SIRYJ VÓVĊYK :: Szary Wilczek :: Pilkasis Vilkelis :: Grauer Wolfy :: Gray Wolfy, KORÁ ©2018, remixes :: b-sides :: singles, KOZA ©2016, KORBA ©2015, and +joryj kłoc ©2014. , and , . Joryj Kłoc [yoriy klotz] — band from Lviv that managed Ukrainian ancient instruments to resound in a modern way. The name of group comes from the secret slang of closed fraternities of blind hurdy-gurdy players: "joryj"— means "honourable", and "kłoc" — whether "chunk", or "old man".